When most people think of Stephen King, their mind invariably drifts to his many iconic acting roles—like his unforgettable performance as Confused Man With Accent in Maximum Overdrive. But King is also a prolific author with many film adaptations of his work currently in some stages of development: Cell, Mercy (based on the story Gramma), a remake of The Stand, a new IT, a Pet Sematary remake, and—as always—Ron Howard’s never-gonna-happen version of The Dark Tower, which Aaron Paul might be in. According to The Hollywood Reporter, the latest Stephen King adaptation to be added to this list is Bad Little Kid, a digital short story originally published in Germany and France back in March. Bad Little Kid tells the story of a man who realizes a young boy has been murdering his loved ones via some sort of supernatural power, which he’s probably not too happy about. King reportedly wrote it as a gift for his European fans, perhaps recognizing that he’s already given Americans enough reasons to fear children. 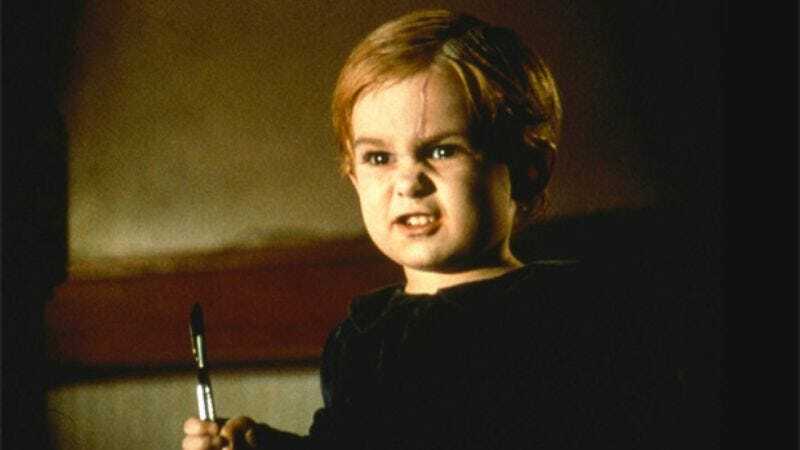 Documentary filmmaker Laurent Bouzereau picked up the rights to Bad Little Kid, and he plans on directing the film himself. If he needs someone to play the title role, we understand Jack Gleeson’s schedule opened up recently.